Pesach, the holiday of freedom has a very special meaning for our orphaned and disadvantaged girls at Lev Lalev. 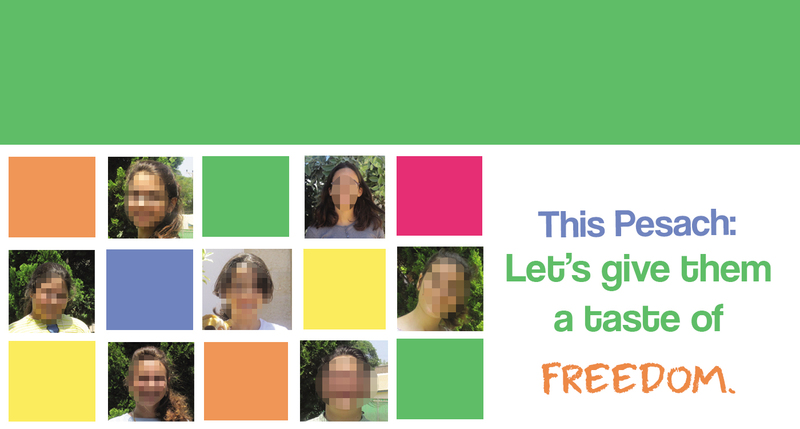 Not only do they recite the Haggadah , but they will proudly wear their new Yom Tov clothes and shoes, with your help. Please donate today. *The Passover budget for our 107 girls living at the Children’s Home is $52,000. Excess funds will be used for our mental health programs for the most acute problematic girls.